After getting through the pure excitement of getting engaged, I was so excited to start planning out all the fun things I'd get to create for our wedding. I wanted a really DIY wedding where I could be involved in as much of the decor as possible. 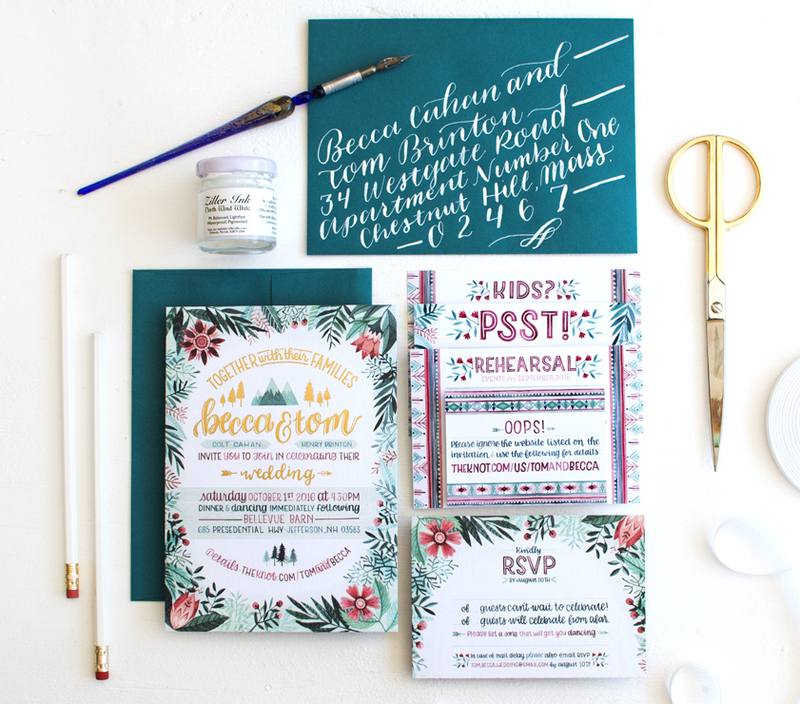 Before we could get to the wedding itself, I was so excited to paint and design our invitation suite!! As an illustrator and greeting card designer, I was so nervous to design my own invite! I had so much fun after I got through the hurdle of putting pen to paper. A HUGE thank you to my amazing and uber talented friend Shanleigh over at August & Osceola who printed the invite suite for me! She digitally printed all the invites, then lovingly handprinted all the gold foil on each individual invite on an old foiling machine and a copper mold. As you can see, we had a lot of little pieces of paper to go in some of the invites. I wanted to make sure we had an accurate "seat count" since we invited a handful of people with really little ones, so we included this card in a few. After the ceremony, we had bought supplies for smores supplies for our close friends to partake in since we had a firepit at the small Inn where the wedding party was staying. I wanted to make sure everyone in the rehearsal knew what to do, and then I also had a little Oops! card. Even though I "checked" for mistakes about a zillion and one times, I of course didn't realize we misprinted the wedding website until I picked up the printed cards...oops is right. Easy enough fix-I tried to make the most of it and designed a little fix card to go in each wedding suite. 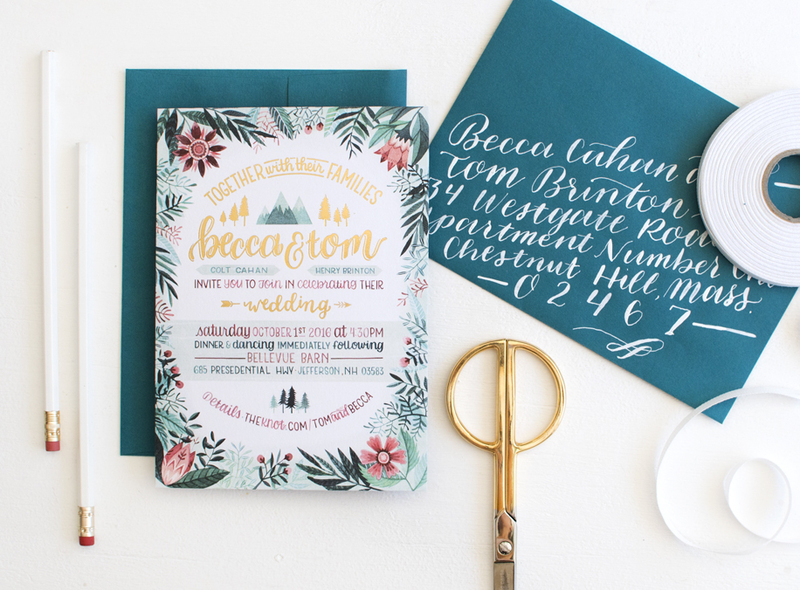 I loved getting the chance to do every little part of the invite suite, calligraphy included! I've taken a handful of calligraphy classes over the years I have the basic supplies and did a simple design for the calligraphy itself.